These small satellites range in size from a loaf of bread to a small washing machine and weigh from a few to 400 pounds. Their small size keeps development and launch costs down as they often hitch a ride to space as a “secondary payload” on another mission’s rocket – providing an economical avenue for testing new technologies and conducting science. 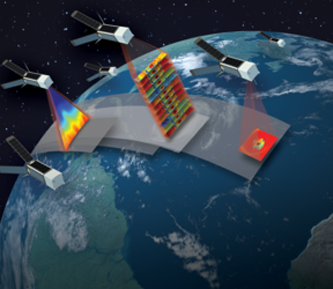 Small-satellite technology has led to innovations in how scientists approach Earth observations from space. 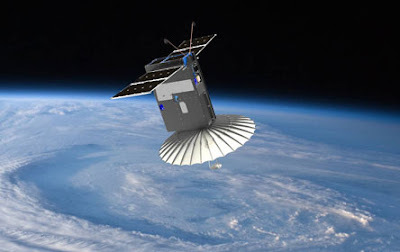 These new missions, five of which are scheduled to launch during the next several months, will debut new methods to measure hurricanes, Earth’s energy budget, aerosols, and weather. That’s what radiofrequency engineers call the mysterious forces guiding communications over the air. These forces involve complex physics and are difficult enough to master on Earth. They only get more baffling when you’re beaming signals into space. Until now, the shape of choice for casting this “magic” has been the parabolic dish. The bigger the antenna dish, the better it is at “catching” or transmitting signals from far away. But CubeSats are changing that. These spacecraft are meant to be light, cheap and extremely small: most aren’t much bigger than a cereal box. Suddenly, antenna designers have to pack their “black magic” into a device where there’s no room for a dish -- let alone much else. Kate Legner points out the next tree in the survey site as other crew members measure key information about the vegetation in a 53-foot diamter plot. The Permafrost Tunnel provides a look back in time, allowing for research into the frozen ground of interior Alaska. “What we’re going to do is walk back in time,” said Matthew Sturm, standing in front of a doorway that led into a hillside north of Fairbanks, Alaska. Through the doors was a tunnel that provides access to the Alaska of 40,000 years ago, when bison and mammoths foraged in grassy valleys. Now, however, the grasses and the animal bones are frozen in the ground in the Permafrost Tunnel. 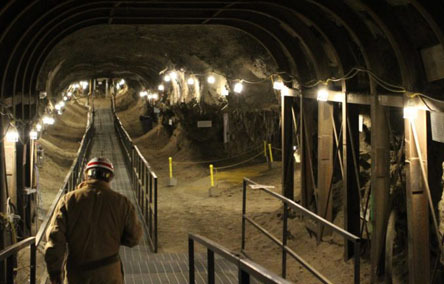 The tunnel, run by the U.S. Army’s Cold Regions Research and Engineering Laboratory, was dug in the 1960s and is the site of much research into permafrost—ground that stays frozen throughout the year, for multiple years. 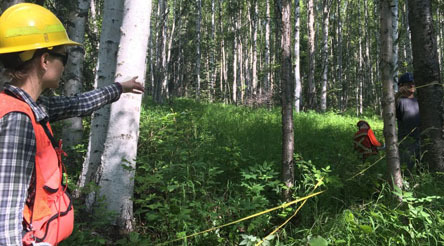 Sturm, a professor and snow researcher at the University of Alaska, recently led a group with NASA’s Arctic Boreal Vulnerability Experiment (ABoVE) to the site. The walls of the tunnel expose the silt, ice, and carbon-rich plant and animal matter that has been frozen for tens of thousands of years. “It’s a legacy of the Ice Age,” Sturm said. Roots of long-buried grasses hang from the ceiling, in a few places bones of Pleistocene mammals are embedded in the wall. The Expedition 43 crew gathers aboard the International Space Station to affix their mission patch to the vehicle. 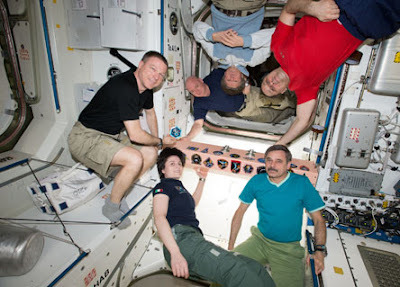 Commander Terry Virts (center left), Scott Kelly (top left), Gennady Padalka (top center), Anton Shkaplerov (top right), Mikhail Kornienko (bottom right), Samantha Cristoforetti (bottom center). The Culture, Values, and Environmental Adaptation in Space (At Home In Space) investigation, sponsored by the Canadian Space Agency, looks at changes in perceptions about home in space and the ways a unique culture may develop aboard the station during a mission. Participants answer a series of questionnaires before, during and after flight, enabling researchers to see whether perceptions and the relative importance of values change over the course of a mission. Questions explore individual and culturally related differences, family functioning and relationships, personal values and coping with stress. “This is the first study to look at the extent to which a unique, shared space culture develops, whether crews develop customs and celebrations that are part of being on the station and different from what they would do on Earth,” explains Phyllis Johnson, principal investigator, Department of Sociology at the University of British Columbia in Vancouver, Canada. Gemini XII pilot Buzz Aldrin, left, and command pilot Jim Lovell stand in a Gemini mockup during training at NASA's Manned Spacecraft Center (now Johnson Space Center) in Houston. 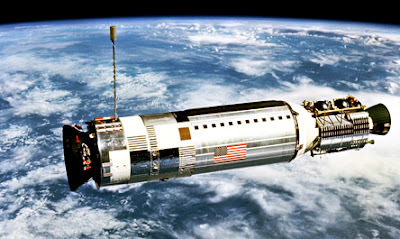 In the 20 months following the first piloted Gemini mission, NASA astronauts demonstrated the ability to change orbits, perform rendezvous and docking, along with spending up to two weeks in space. Spacewalking, on the other hand, remained an enigma. With only one more Gemini flight on the schedule, solving the problems of working outside a spacecraft would be the primary goal for Gemini XII. As was the case on the previous four missions, the Gemini XII flight plan called for rendezvous and docking with a target vehicle. But, according to Dr. George Mueller, NASA’s associate administrator for Manned Spaceflight, mastering what NASA called an extravehicular activity (EVA) or spacewalk would be crucial in proving the agency was ready to move ahead with Apollo and achieving the goal of landing a man on the moon before the end of the decade. “I feel that we must devote the last EVA period in the Gemini Program to a basic investigation of EVA fundamentals,” he said. To take on the challenges of this crucial flight, NASA assigned a veteran of the longest spaceflight to date and the astronaut who helped “write the book” on orbital rendezvous. 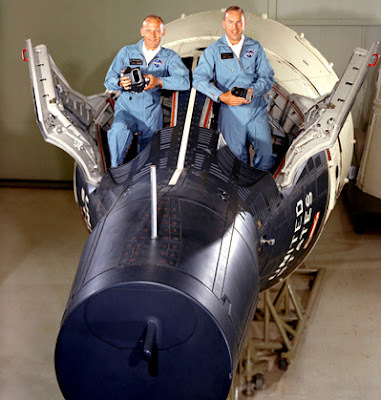 The command pilot was Jim Lovell who served on the 14-day Gemini VII mission in December 1965. A Naval aviator, he went on to be a member of the Apollo 8 crew, the first mission to orbit astronauts around the moon in 1968. As commander of Apollo 13 in 1970, Lovell became the first person to travel in space four times. 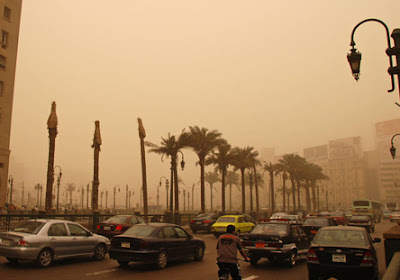 Human carbon dioxide emissions from fossil fuel burning and other sources have been mapped from OCO-2's global dataset.